Image: Bruno, via Flickr under Creative Commons license. 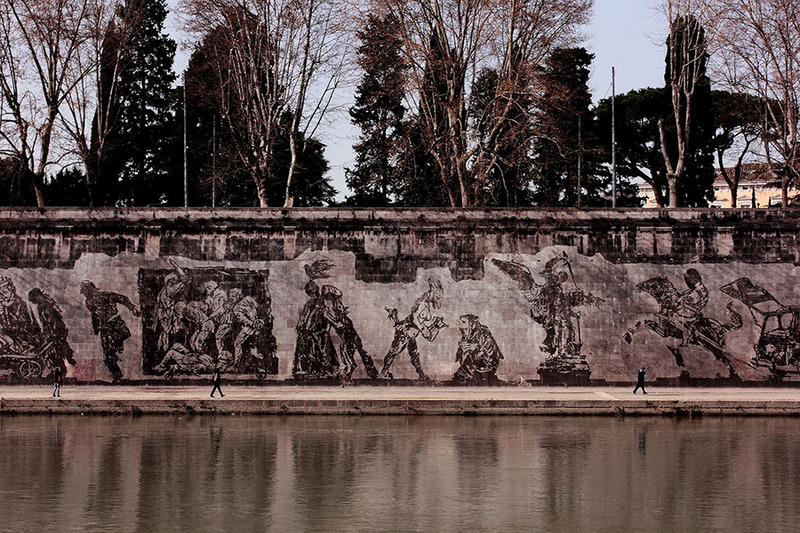 The standout this month has got to be the gorgeous reverse graffiti mural created along the banks of the Tiber by William Kentridge. Click on the post title or here to read about this and other public art projects. Image: Robert Montgomery installation, by Alper Cugun via Flickr under Creative Commons licence. A poet who boldly takes his message to the street, and a new exhibition for a legend of sculpture. Click the post title or here to read more about these stories on Robert Montgomery and Louise Bourgeois.